Photos and Life: 7 - letter word! 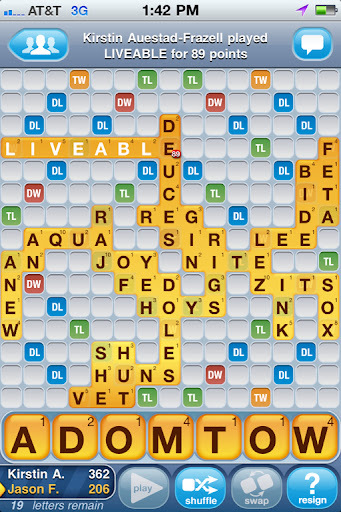 I got my first 7-letter word on words with friends! The best part is that I was playing my husband! I can say that my life is L-I-V-E-A-B-L-E!